There are a huge number of different third party accessories now available for smartphone users from a variety of companies. Jabra are arguably one of the better known suppliers of quality Bluetooth handsfree solutions, and today we have news of the Jabra Speak 510 speakerphone that can also be used for audio conferencing. The company has revealed its latest product that can be connected wirelessly to a number of devices that includes tablets, computers, and smartphones for listening to music or holding conference calls. The product uses Class 1 Bluetooth technology that has a range of 100 meters, and can be also be connected to devices via an USB port. It is also compatible with UC systems and VoIP clients and will also offer integration and call control for a number of other services such as Skype among others. Other features include a 3.5mm headphone port, and according to the company it will offer users up to fifteen hours of battery life. The Omni-directional microphone allows numerous users to hear and speak during a conference call, as well as one to one calls. According to Jabra the device offers users an echo and distortion free sound even at higher volume levels, and also uses Digital Signal Processing technology. It has been designed with a compact and lightweight look and even has an integrated USB cable management system that allows for quick and easy set up, and is supplied with a protective travel case. 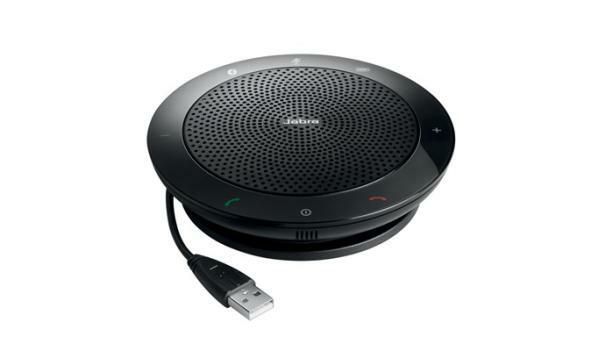 While the Jabra Speak 510 speakerphone is being launched in India priced at Rs. 11,000, it is available in other markets as well. Online retailer Amazon has the product available for Â£107.98 in the UK, while in the US it is priced at $150. For more information check out the video that can be seen below or click here.